If your family gets drinking water from a private well, do you know if your water is safe to drink? What health risks could you and your family face? Where can you go for help or advice? Unlike public drinking water systems serving many people, they do not have experts regularly checking the waters source and its quality before it is sent to the tap. These households must take special precautions to ensure the protection and maintenance of their drinking water supplies. There are three types of private drinking water wells: dug, driven, and drilled. 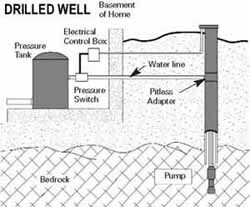 Proper well construction and continued maintenance are keys to the safety of your water supply. Your water-well contractor licensing agency, local health department, or local water system professional can provide information on well construction. The well should be located so rainwater flows away from it. Rainwater can pick up harmful bacteria and chemicals on the lands surface. If this water pools near your well, it can seep into it, potentially causing health problems. 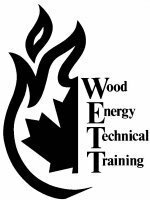 Water-well drillers and pump-well installers are listed in your local phone directory. The contractor should be bonded and insured. Make certain your ground water contractor is registered or licensed . Consider testing your well for pesticides, organic chemicals, and heavy metals before you use it for the first time. Test private water supplies annually for nitrate and coliform bacteria to detect contamination problems early. Test them more frequently if you suspect a problem. Be aware of activities in your watershed that may affect the water quality of your well, especially if you live in an unsewered area. Take samples to your local health center or water bottling store. The cost is usually free to most samples. Bacteria, viruses, parasites and other microorganisms are sometimes found in water. Shallow wells those with water close to ground level are at most risk. Runoff, or water flowing over the land surface, may pick up these pollutants from wildlife and soils. This is often the case after flooding. Some of these organisms can cause a variety of illnesses. Symptoms include nausea and diarrhea. These can occur shortly after drinking contaminated water. The effects could be short-term yet severe (similar to food poisoning) or might recur frequently or develop slowly over a long time. Radon is a gas that is a natural product of the breakdown of uranium in the soil can also pose a threat. Radon is most dangerous when inhaled and contributes to lung cancer. Although soil is the primary source, using household water containing Radon contributes to elevated indoor Radon levels. Radon is less dangerous when consumed in water, but remains a risk to health. Although high nitrate levels are usually due to human activities (see below), they may be found naturally in ground water. They come from the breakdown of nitrogen compounds in the soil. Flowing ground water picks them up from the soil. Drinking large amounts of nitrates and nitrites is particularly threatening to infants (for example, when mixed in formula). Underground rocks and soils may contain arsenic, cadmium, chromium, lead, and selenium. However, these contaminants are not often found in household wells at dangerous levels from natural sources. These include nearby factories, industrial plants, and even small businesses such as gas stations and dry cleaners. All handle a variety of hazardous chemicals that need careful management. Spills and improper disposal of these chemicals or of industrial wastes can threaten ground water supplies. 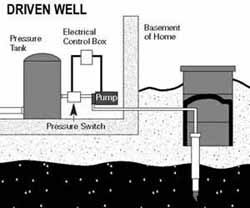 Petroleum products, chemicals, and wastes stored in underground storage tanks and pipes may end up in the ground water. Tanks and piping leak if they are constructed or installed improperly. Steel tanks and piping corrode with age. Tanks are often found on farms. The possibility of leaking tanks is great on old, abandoned farm sites. Farm tanks are exempt from the EPA rules for petroleum and chemical tanks. Modern landfills are designed to contain any leaking liquids. But floods can carry them over the barriers. Older dumpsites may have a wide variety of pollutants that can seep into ground water. Improper disposal of many common products can pollute ground water. These include cleaning solvents, used motor oil, paints, and paint thinners. Even soaps and detergents can harm drinking water. These are often a problem from faulty septic tanks and septic leaching fields. Household plumbing materials are the most common source of lead and copper in home drinking water. Corrosive water may cause metals in pipes or soldered joints to leach into your tap water. Your waters acidity or alkalinity (often measured as pH) greatly affects corrosion. Temperature and mineral content also affect how corrosive it is. They are often used in pipes, solder, or plumbing fixtures. Lead can cause serious damage to the brain, kidneys, nervous system, and red blood cells. The age of plumbing materials in particular, copper pipes soldered with lead is also important. Even in relatively low amounts these metals can be harmful. EPA rules under the Safe Drinking Water Act limit lead in drinking water to 15 parts per billion. Since 1988 the Act only allows lead free pipe, solder, and flux in drinking water systems. 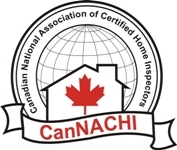 The law covers both new installations and repairs of plumbing.